Hawke’s Bay food is legendary, at home and abroad, and we are the country’s best (according to BayBuzz and many others) and second-largest wine producing region. In recent times, our natural ability to grow has been capitalised upon by an increasing number of culinary creatives to mould the Bay into a centre of excellence for food and wine. We’ve got artisan products across meat, dairy and produce, with that highly desirable ‘locally grown’ label. We’ve got clever people adding value. We’ve got an already established wine industry that wraps around our culinary offering. We’ve got the big personalities so essential to first-class hospitality. We have an undisputed wealth of talent and raw material, but is this cornerstone of our local economy sustainable? 1. Alexandra Tylee: Pipi owner and chef, writer. 2. 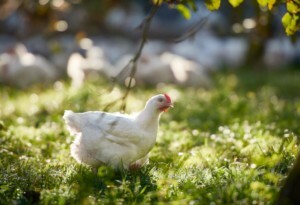 Ben Bostock: Bostock’s Organic Free Range Chickens. 3. Chris Barber: Brewer at Zeelandt Brewery. 4. 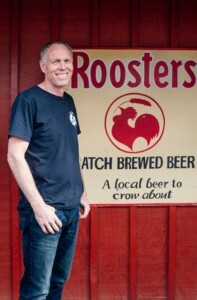 Chris Jarvis: Bay Espresso Coffee and Roosters Brewery. 5. Clyde Potter: Epicurean Supplies. 6. Helma van den Berg: Clearview Estate Winery. 7. James Beck: Bistronomy owner and chef. 8. Jennifer le Comte: Smiths, Picnic, Albion Canteen and Opera Kitchen. 9. 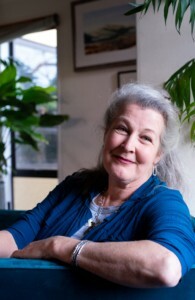 Juliet Harbut: International cheese consultant, educator and food writer. 10. 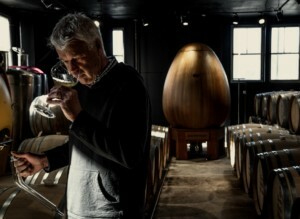 Tony Bish: Vintner and owner of The Urban Winery. Tony Bish of The Urban Winery. For those who make their bread and butter, literally and figuratively, from the land, there is concern across the board for the guardianship of the environment. Helma van den Berg wants to see that locked in as part of an across-the-board commitment to ethical, sustainable practices. “The end of food waste. Reduced imports of produce. Reduced exports of water. Protection of waterways. Restriction of dairy in Hawke’s Bay!” she says. It’s quite a laundry list, but one echoed by many in the industry. Without the purity of those raw materials, the signature Hawke’s Bay hospitality offering is fried. Much of our tourism as well as our local pride is built on our excellence in food and drink. Clyde Potter has hands-on experience of the importance of this. He’s been growing organically for at least two decades but has only recently jumped through the regulatory hoops to attain certification. 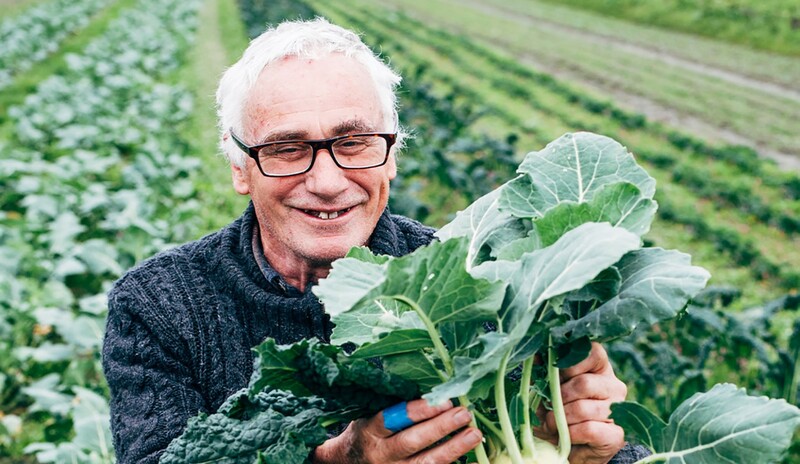 He’s seen a shift in the general population towards good, wholesome, organic food and has embraced certification with enthusiasm. “There are no rules … people don’t know that. They see a supermarket chicken labelled ‘free-range’ and are prepared to pay a little more, but it’s all marketing rather than a real concern for the welfare of the bird. But ‘sustainable’ has a far greater reach and includes ensuring the industry has the workers, leaders and entrepreneurs to last the distance. Most agree that the pool of quality staff is small and precious, and needs to be looked after. Tony Bish agrees creating more jobs for highly skilled people is a vital goal. James Beck wants to see people taking to the streets, experiencing everything the culinary scene has to offer, and he believes that ‘give it a try’ attitude should start with civic leaders. Local authorities and their associated agencies certainly have a pivotal role in the hospitality industry. With much of our regional branding pinned to this idea of a food and drink capital, Jarvis believes a crucial balance must be struck between upholding safety and standards, and fostering an environment in which creativity can thrive. Councils’ consenting environment is currently bogged down with building issues brought on by earthquake regulations but once those shake down and are bedded in the hope is councils here can take up a ‘can-do’ approach to encouraging innovation. For example, enabling lease-by-the-day commercial kitchen space could support and incubate small and emerging value-add gourmet artisans. As the longest continuous serving stall holder at Hasting’s Farmers Market, Clyde Potter has seen promising businesses fold because of their inability to comply with bureaucratic food regulations. Great Things Grow Here is a regional economic development campaign that works to encourage big business to move to the Bay. There is potential to give the programme a local, more grass-roots angle, something that appeals to the hospitality industry. 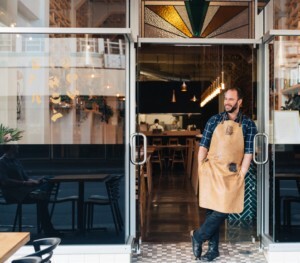 Tony Bish believes potential growth in the hospitality sector would allow much-needed funds to trickle down to producers, triggering diversity and specialisation. He would like to see our councils increase financial support for tourism promotion. But an over-reliance on attracting revenue from outside the Bay leads to a highly seasonal industry that must grow fat in summer to survive the leaner months. With the cost of living on the rise, and Hawke’s Bay wages lagging behind the New Zealand median, money is a barrier to participating in the food and wine scene. For visitors too, it’s an issue, the Ministry of Business, Employment and Innovation tells us international visitors cited the expense of food in New Zealand as their biggest reason for dissatisfaction. There’s the disconnect. Despite the best efforts of our growers to produce, our artisans to create, our chefs to present and our tourism board to market, we are a small fish in a big pond. The sheer volume of wine and produce from the industry giants – Australia, America, Europe – will always undercut us financially because of its scale. And for many the dollar will always trump the heart. All we can do is value what we have while we have it, to the extent that we are prepared to pay for it. Hawke’s Bay’s food and wine industry must continue to pursue excellence and can only hope that the economy they have only a part in building will be able to sustain them. BayBuzz asked the experts what improvements the food and wine scene needs in the next decade. Restaurants and cafés need to stay open later and open up on Sundays and public holiday, especially in tourist areas. Even Mondays are a current black hole with hardly anything open. As our dining public grows, so too should opening hours. A world-class, Michelin-star quality, degustation-only restaurant showcasing Hawke’s Bay produce. Bistronomy’s James Beck – recently voted Hospo Hero of the Year – is ready to take up the challenge. 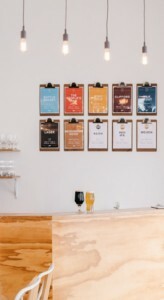 More independent bars, tap rooms and beer gardens that aren’t affiliated with major breweries. Not just to welcome punters but to show off the quality of Hawke’s made beers, ciders and wines. Greater acknowledgement that the food and drink sector in HB is founded on the shoulders of passionate and dedicated individuals, rather than franchises and chain restaurants. And many agree there is still room for more, from eateries to artisan producers. There are still gaps in the offering, especially in the market known as ‘ethnic cuisine’. We need a quality, authentic Chinese restaurant to sit alongside our outstanding Indian and Thai. And our fresh local fish would taste even better in a high quality Japanese restaurant, says Tony Bish. Yes, we delight in our food story. But we consumers need to put more of our money where our mouths are! For example, making a commitment to get to a new establishment within its first month of opening or putting aside dining-out budget for a regular restaurant night once a fortnight… rather than just spending every hospo-dollar during the FAWC season. 8. Community dining cultureMore places that encourage locals to be part of a dining community with long tables and family-style eating. Watch out for the Ahuriri Neighbourfood Market on Bridge St … a village-style food fair creating a social space that’s a new collaboration between Picnic and Vetro. 9. High-end hotelsThere’s room for more large-scale hotel accommodation options that attract tourists with disposable income to spend their money on high-end dining. 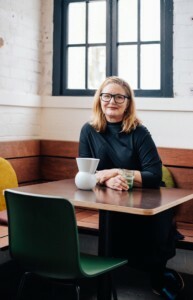 From a new kids’ cookbook by Pipi’s Alexandra Tylee, to restaurants getting into the ready-to-eat meal trend that’s still holding traction, Hawke’s Bay’s food sector is far-reaching, healthy and full of innovation – and it has to be to stay alive.